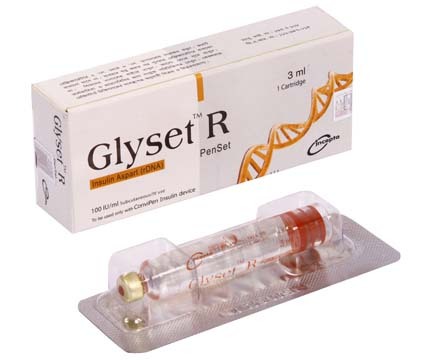 Glyset R is an insulin analog indicated to improve glycemic control in patients with diabetes mellitus. For detail description, please see the Patient Instruction Leaflet provided with ConviPen. Glyset R may be given soon after a meal. meal may increase the risk of hypoglycaemia. mixed with any other insulin. infusion fluids such as 0.9% sodium chloride. nursing mother should not affect the baby. However, dosage may need to be adjusted.